Livingstone Island is where Dr David Livingstone first saw the Victoria Falls. Explore the island and experience dramatic views of the Falls, before plunging into Devil's Pool, a natural rock pool on the edge of the Victoria Falls. Visit Livingstone Island in Livingstone, Zambia (also known as Devils Pool) and stand where the Scottish explorer David Livingstone first viewed the Victoria Falls. On a Livingstone Island tour you can swim to the edge of the magnificent Victoria Falls and plunge into Devils Pool which is a natural rock pool on a ledge right at the edge of Victoria Falls. Your trip to Livingstone Island starts at the deck of the Royal Livingstone Hotel in Livingstone, Zambia. Here you will meet your guides and be given an introduction of what to expect and a safety talk. From there you will take a short boat ride to Livingstone Island. 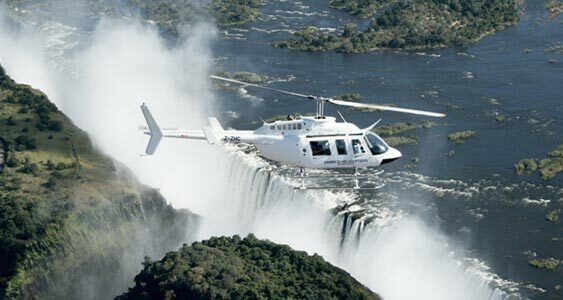 The captain will navigate the rocky channels as you cruise within a close distance of the Victoria Falls. This is a great experience in itself. Once you reach Livingstone Island you will be greeted by the friendly staff. You are then lead to the very edge of the Victoria Falls where David Livingstone first witnessed the Falls himself. You get to experience magnificent views of the Victoria Falls from a completely different perspective than the views from the rainforest. If it is a sunny day the rainbows are incredible. Once you have viewed the Victoria Falls you have the opportunity to jump into Devils Pool. The guides will explain the route before giving you a safety briefing. Although there is a safety rope to assist you along the way, you should be a confident swimmer. Once you reach the ledge you climb onto a rocky outcrop close to the edge of the Falls. Devils Pool is a deep natural pool that has been created by thousands of years of erosion. Devils Pool has a natural rock ledge literally on the edge of the Falls. This creates a barrier where the water is only a few centimeters deep. This barrier allows you to safely jump into the pool without getting swept over the edge of the falls. Trips to Livingstone Island are offered at different times throughout the day. Each trip lasts about 3 hours. The Livingstone Island morning breezer trips leave from the Royal Livingstone Hotel at 07:30, 09:00 and 10:30 and includes tea & coffee, soft drinks and light snacks. The Livingstone Island lunch trip leaves from the Royal Livingstone Hotel at 12:30 and includes lunch, soft drinks, beer and wine. The Livingstone Island high tea leaves from the Royal Livingstone Hotel at 15:30 and includes tea & coffee, light snacks, soft drinks, beer and wine. Please note that Livingstone Island is usually closed from mid April until approximately the beginning of June each year due to high water levels.